I have 23 tattoos so I know a thing or two about how to ensure your tattoo heals properly. 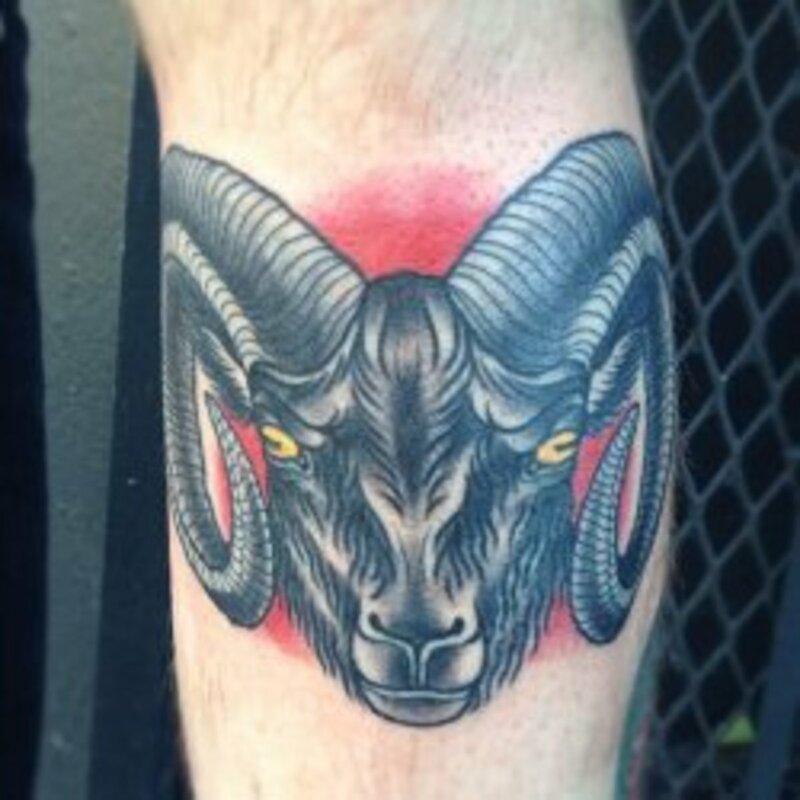 One of my favorite tattoos, done by the awesome Hanna Sandstrom at Idle Hand in San Francisco. What's the Best Way to Heal a New Tattoo? It seems like everyone is an expert on healing tattoos — just ask, and they will tell you that they know the best, fastest, and only way to do it. Some will tell you to listen to your artist and do whatever they tell you, to the letter. This is bad advice. I know, because I've tried it a few times with poor results. Why? Everyone's skin is different, every tattoo is different, and there's no one-size fits all aftercare sheet. Instead, you should listen to your skin and come up with a custom method that's best for you. When you find a product your skin likes, stick with it! Learning how your skin heals best and then improving your personal technique is the secret to fast, safe healing for tattoos big and small. In this article, I'll share what I've learned about tattoo aftercare and show you my preferred method. The products are flexible. In fact, I encourage you to try a few products if you'll get more than one tattoo to help you find what's best for your skin. Being attentive to your skin and protecting the new tattoo is most important. Any quality product that is appropriate will work with this method. 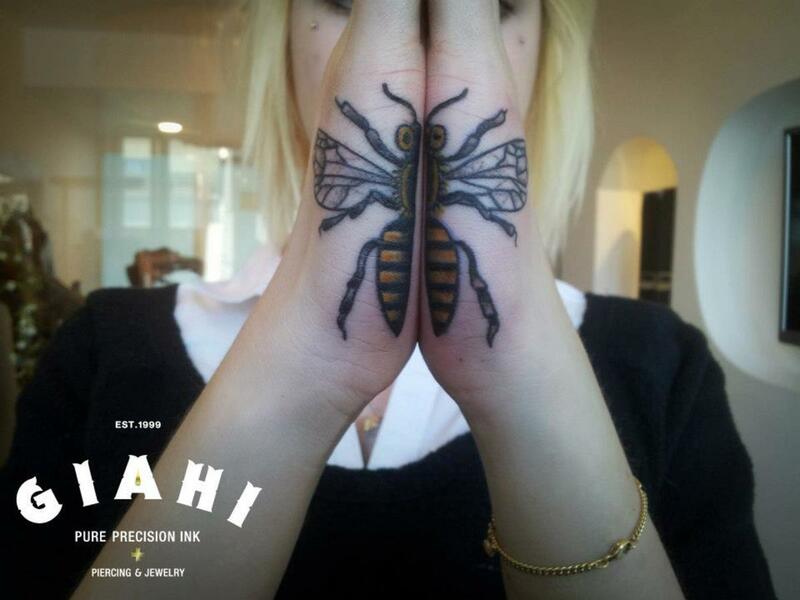 Your artist should have covered up your new tattoo before you left the shop, assuming the area is coverable. 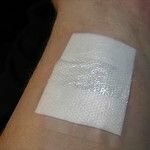 Common coverings include saran or plastic wrap, surgical dressing pads, or non-stick pressure dressings. There are many schools of thought regarding when you should remove this covering, but the absolute minimum should be two hours. 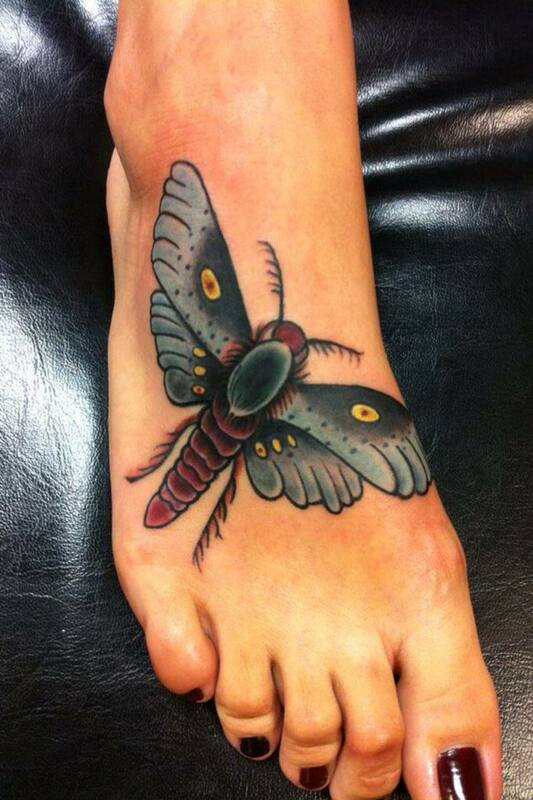 Your new tattoo is an open wound and is susceptible to infection, especially during the first few hours. Airborne bacteria, touching with your hands or being licked by a pet can all cause problems, some of which can cause permanent damage and may require immediate medical attention. A new tattoo will weep a clear liquid called blood plasma during the initial healing phase. Generally, the more an area was worked with the machine, the more weeping you will see. It's important to prevent this plasma from drying on the skin as it can contribute to scabbing. Scabs can cause discoloration, scarring, and even total ink loss. They're also uncomfortable and take much longer to heal. I like to minimize this risk by keeping the dressing on as long as possible on the first day. My personal recommendation is to leave it on overnight and un-bandage it the following morning. Usually, this is about 8-20 hours. Generally, the weeping has stopped by this point, so scabs are much less likely. A bonus of sleeping with the tattoo bandaged the first night is no tattoo ink stains on your bedsheets. Sometimes it comes out, but most of the time the stains are permanent. 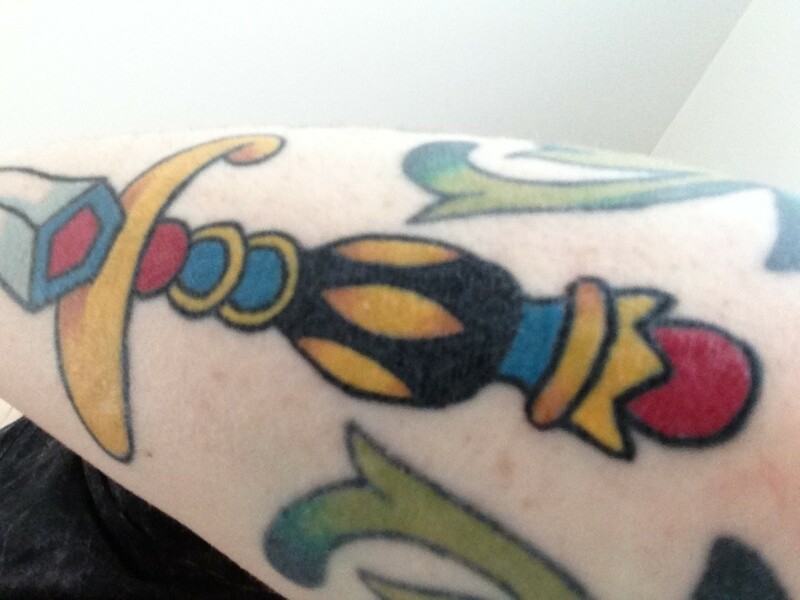 Your tattoo is healed when all of the tattoo is smooth and evenly colored - until then, moisturize! Wash your hands well. Remove the bandage and wash the area with a diluted soap mixture and warm water. Don't scrub the tattoo. Instead, use gentle pressure to remove the "slime" that you'll feel. When all the slime is gone, and your skin feels smooth, not slippery, you're done. Give the tattoo a rinse in cool water and let air dry or pat dry with a paper towel. After about 10-15 minutes, apply a thin layer of Aquaphor to the tattoo. A thin layer means that your tattoo will be shiny. Just use a little bit at a time until the whole area is covered evenly. If the product is running onto the adjacent skin as it warms up, you've used too much. Before bed, gently wash the tattoo again and air dry. 10-15 minutes later, apply another thin layer. 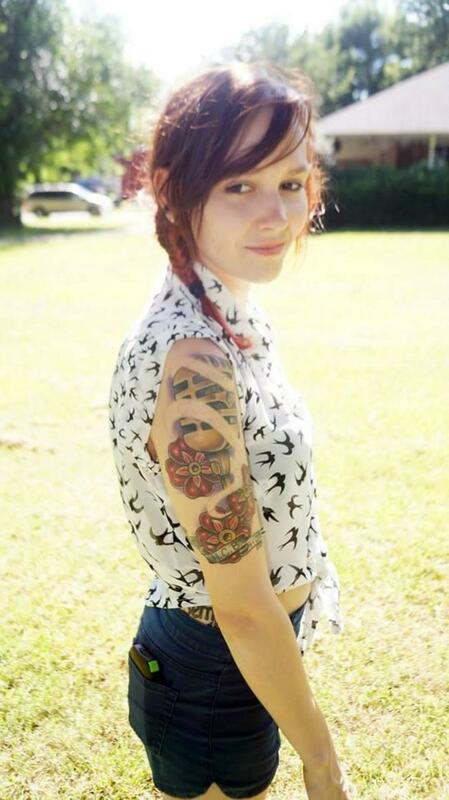 When most of your tattoo has peeled, you can switch to an unscented moisturizer with Aquaphor on any un-peeled areas. You can stop washing it morning and night. From now on, once a day or every other day should be sufficient. Re-apply moisturizer as needed throughout the day. Again, don't let your skin dry out. After about two weeks, it should be completely healed. Use some moisturizer whenever the skin feels dry or tight. It's important to wash your new tattoo with a mild cleanser. Many artists recommend anti-bacterial soaps. In my experience, they're unnecessary, and there's plenty of research that indicates they are no more effective at removing microbes and germs than plain soaps. I have had excellent results with Dr. Bronner's Castile soaps. Castile soap is one of the simplest and most natural cleansers available and has an unbelievable amount of uses. I recommend washing once a day for the first week. Remember to dilute this product! It's concentrated. Wash your hands thoroughly anytime you plan on touching your new tattoo! I like Aquaphor because it's cheap, extremely moisturizing, and easy to bring with you. I prefer the tubes versus the larger tubs as it's easier to prevent contamination. Never allow your tattoo to dry out! Always have Aquaphor, Emu Oil or an unscented lotion on hand at all times. You can use just Aquaphor for your entire heal, but it's somewhat heavy, and clothing tends to stick to it. A lightweight, fragrance-free lotion is a great way to finish your healing. I usually add in lotion or tattoo cream around day 3 or 4. When the entire tattoo has peeled, I stop using the Aquaphor and use only the lighter moisturizer for another few days until the skin no longer needs additional moisture to feel smooth. Be sure to choose something that has no fragrance, essential oils or sunscreens — Lubriderm, Eucerin, Aveeno and Cetaphil all offer fragrance-free lotions that will work just read the ingredients to be sure. Keep your skin moist and clean and never let your tattoo dry out for the best results. I've had excellent results with Emu oil as a part of the aftercare. It's not quite emollient enough for me to use it alone, so I generally use a combination of my fragrance free-moisturizer in the mornings and emu oil throughout the day. Emu oil is reported to have properties that allow it to penetrate deep into the skin and it also contains effective anti-inflammatory properties. If you notice any of the following things during the healing process, please visit your doctor. For the first two weeks after you get your tattoo, cover it with clothing anytime you'll be exposed to the sun. Cloth bandanas work well for hot days. After you're healed, it's really important to wear sunscreen on any tattooed skin that you expose to the sun. UV rays are the number one cause of damage. 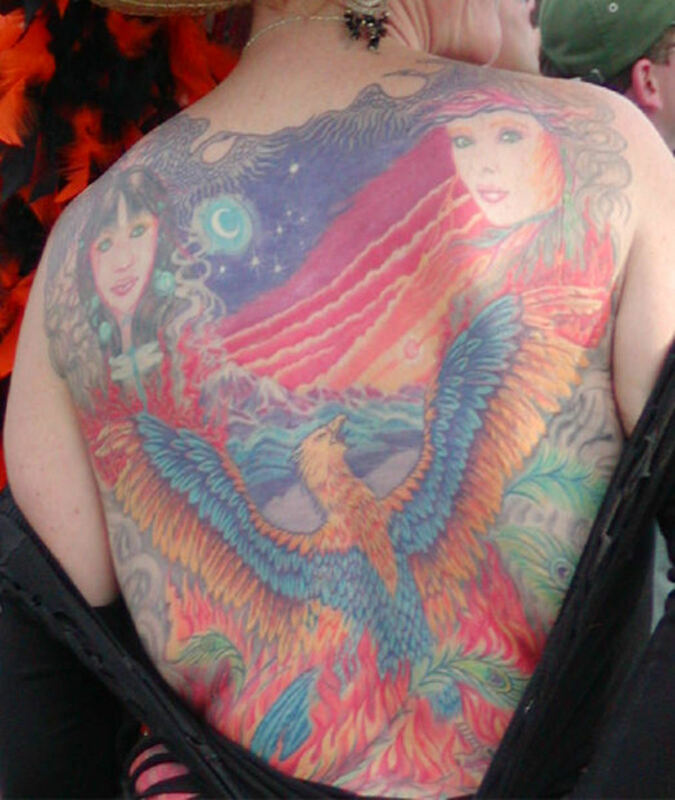 When tattoo pigment absorbs UV rays, it begins to break down. This manifests itself in blurring of lines, patchy saturation and changes to color. Light colors fade the fastest, and black often turns greenish or blue with age. Protect your tattoo throughout your life, and you will always be able to enjoy its beauty instead of wishing you'd taken better care of it when you had the chance. How do you heal your tattoos? 10 tattoos... always washed 2/3 times a day with Dial gold liquid soap and luke warm water pat dry with paper towel and used a non scented lotion multiple times a day until completely healed. I actually lotion daily it's great for tattoos to keep them nice and moisturized forever. Aquaphor is potentially a reactionary agent to some skin types....so no. (2nd tattoo.. first 17 years ago) 18 days ago I got a side rib tattoo. Multi colored, reds, yellows, orange, black, etc) . About 9 inches long. I used aquaphor for 5 days, as I was concerned that I had driven 15 hours the day after getting it and couldn't wash and moisturize in a sterile enviroment while driving. (And didn't). I then switched to lubriderm at the fifth day. Washed with dial soap, let dry naturally 10 to 15 minues before applying three times a day. After a week. I had no scabs or peeling. Two weeks.. still no peeling. Now at 18 days, going on 19 I never peeled. It looks of course a bit duller than when first done. I called my artist because I feared there was something wrong with my healing process and he said I may of peeled lightly and washed off excess skin, but some people don't much. And that I took good care of it. Also to keep him informed and any changes. I have been lucky so far and will continue as I have. Those simple products worked great for me and recommend them. I still have the fear that at week three I will peel. Have you had any that haven't peeled. If you use A&D - as I have on all 7 of my tattoos, and they all healed perfectly and rather quickly - be sure to use the clear stuff, not the white ! As far as sunblock once it has healed, if you want to keep the colors bright / unfaded - it is an absolute necessity. I like that you state that everybody is different and that people should use what works best on their skin. 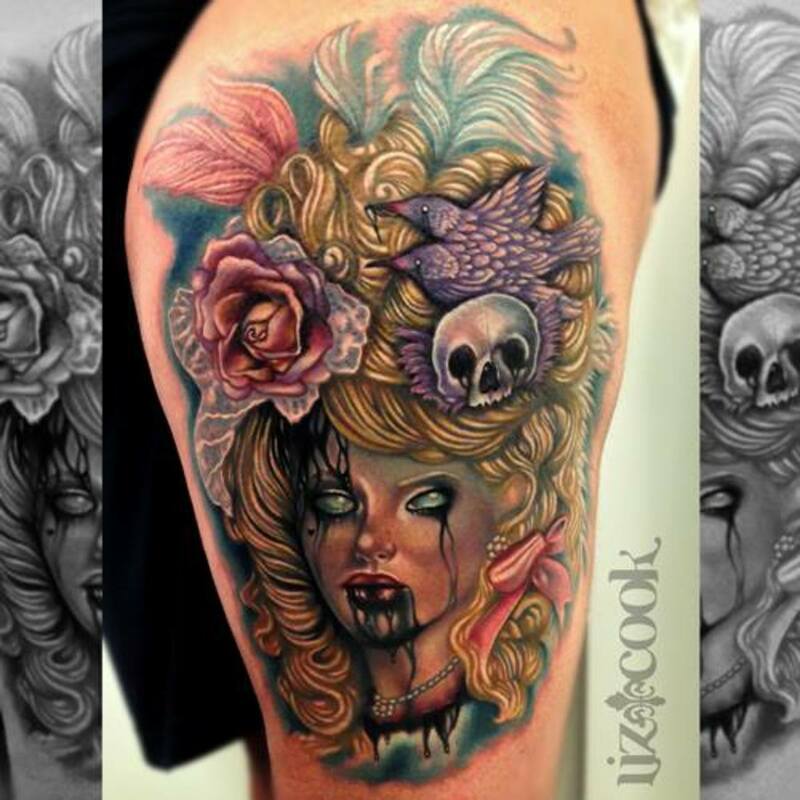 @julieannbrady: I think knowing how to treat tattoos that have healed to keep them looking fresh is important too. It's been a while since I had a new tattoo to heal. The mild soap is important so as not to irritate the area. I think long-term care is important to keep them looking as fresh as possible. Just like you shared above! Very good lens! Thanks for sharing! I don't actually have any tattoos, but I know a lot of people who do... I had a dream the other night that my husband got a tattoo, and asked him in the morning if he was planning on getting one. LOL! He said he was not. But, this lens caught my eye because it didn't really occur to me that you would have to "heal..." but I guess since needles are involved, it would take some healing. Good info! Not sure but that is one cool looking elbow. You seem to like a lot of the same things I enjoy. I love graffiti also, do you? Thanks for posting this for people in tattoo pain! Whoa, I've never even heard of emu oil! For my tattoo (my only one but it took multiple sessions to complete) I listened to my artist and kept it well-moisturized. Now that it's healed I also make sure to put sunscreen on it any time I'll have it exposed to the sun so that the colors don't fade! So after I remove the initial bandage put on by the tattoo artist do I have to re-bandage or leave it expose from then on?? I don't have any tattoos but this is great information for those who do. I do sometimes contemplate getting a tattoo. I have piercings, so I know what you're saying about the millions of different aftercare methods and how every person and website will tell you their way is the right way and that's it. Your advice seems pretty sound though. I'll keep it in mind if I do get a tattoo. @greenmind: Yeah, I've heard of that as an aftercare method. I can't imagine it worked very well, what was your experience? when I got mine 25 years ago, waaay before anyone not a sailor, an ex-con, or both were the only people who had them (I was in a band), the hairy dude who inked it told me to put the hemorrhoid medicine Preparation H on it. So I smeared that weird stuff all over my back. [Insert inappropriate joke here]. @diy-plan: Great! I hope he finds it useful! I was just talking to my brother yesterday about his new tattoo and was asking him about how he was caring for it... this is good information, Tom.